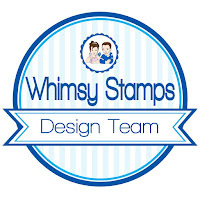 Whimsy Stamps is sponsoring this week's Papertake Challenge! The winner win receive the very cute Polar bear stamp and a card. All you have to do for a chance to win is make a card with Dawn's amazing sketch! I know that a lot of you have fallen in love with these stamps. I can't believe how lucky I am to have been asked to me on the Design Team! 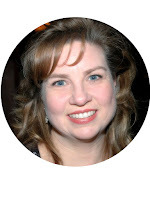 Denise had added another DT member and it is none other than my fellow Sketch Saturday buddy - Debbie. I am so happy that she has joined the team. She is fantastically talented and a really sweet person too! Whimsy also has a special offer just for Papertake Weekly readers and participants. From now through January 18th, enter the code PTW during check in the coupon code box and receive 15% off your entire order! WOW! What are you waiting for? 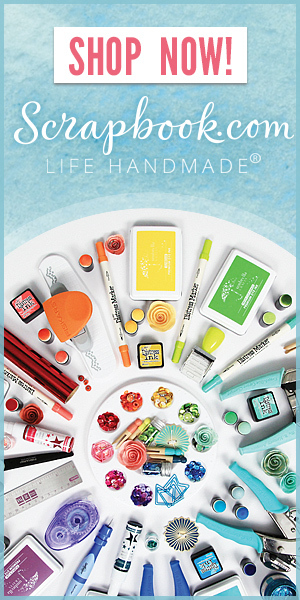 Beat the Winter blues with a little Whimsy! For my card, I chose this goofy moose. He is too funny. I colored him with Prismacolors and OMS. I colored a soft border all around him and then along the edges of my label cut out. Then I masked the moose and added a soft airbrushing with my Copic system. (Then I ran out of air, but that is another story!) The sentiment is also from Whimsy. Thanks for stopping by for my second post today! We are experiencing a pretty frigid spell here in Quebec. With the windchill factored in, it is -35 C. I stayed in all today except for dropping my kids off and picking them up from school. The snow sounds really cool when you walk on it - it actually CRUNCHES! This is absolutely adorable Jeanette! Wow! Fabby card, your coloring is amazing! 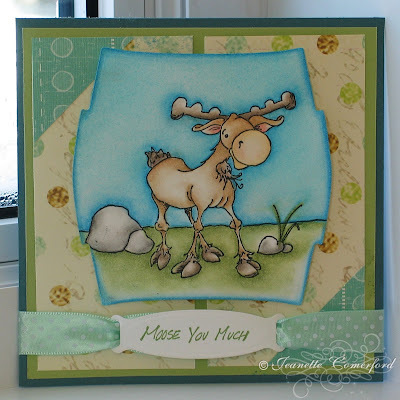 I really love that moose..
Gorjus card. Love those colours and that stamp. Oh, this is so cute card! I love that stamp, it´s so funny. Ok, this moose is too cute!! Not that they usually are, but this one looks great! Great job on the sketch too!! Aww that's lovely Jeanette! Beautiful colouring! Thanks for joining us for the PTW challenge!